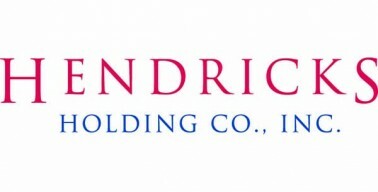 Eagle River, WI – Wisconsin based Composite Panels Systems, LLC (CPS) has announced that Hendricks Holding Company, Inc. (HHC) of Beloit, WI, has acquired a minority stake in CPS. CPS Managing Member, Glenn Schiffmann, views this investment and strategic relationship as an opportunity to further assist our innovative management team with the full commercialization of this truly disruptive new building products technology. HHC joins an esteemed group of two publicly held industry titans, Ashland (NYSE:ASH) and Owens Corning (NYSE: OC) in addition to Fiber-Tech Industries, who have all forged a strategic relationship with CPS. CPS has installed EPITOME foundations in more than 16 states and that list continues to grow by the week. “As we begin to raise awareness of the product, moreover, how it solves the age old basement issues we homeowners and builders have been living with for centuries, we are confident EPITOME will become as common as composite decking in the very near future”, says Schiffmann. To experience the benefits first-hand visit us on-line at CompositePanelSystems.com or make the trip to Eagle River, Wisconsin and tour the all-new EPITOME foundation model for seeing is one thing, experiencing it will make you a believer.